Sign up to receive the snarescience newsletter via email by clicking here! Representing years of on-field research and innovation, the Invader V3 boasts a slick, other-worldly design like no other drum practice pad on the planet. Featuring a truly 360�, stick saving RIM element and a newly formulated playing surface with a feel and articulation you have to experience to believe. Lightweight and unobtrusive, the MM2 MetroGnome gently hooks over the ear, and its compact body rests against the earlobe. It has 39 selectable tempos (40-208 BPM), selectable time signatures, 8th and 16th notes, triplets, and a volume control. 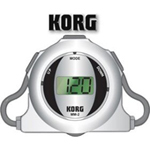 This is a great metronome	to use while marching and playing. The one drawback with this one is the 4 bpm steps. You may not be able to get the exact tempo you want. Since 1988, RealFeel has meant the finest practice pads in the world. The soft, pure gum rubber surface is quiet and best for practice emphasizing speed, bounce and stick control. The harder neoprene surface is a "chopbuilder" and is good for hand calisthenics and for practicing when you want to hear each stroke. The Pro-Mark PLD Double-Sided Practice Pad has two practice surfaces: Blue for 'normal' rebound and black for more articulation. The pad features a chip-resistant, black epoxy base and is stand mountable with Pro-Mark's PPS Practice Pad Stand. The Vic Firth Heavy Hitter Stockpad features a 3/16" thick gum rubber pad mounted to a 12" sturdy wooden base. 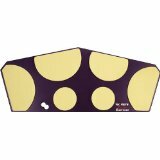 This pad gives the player a more accurate feel of a snare drum or marching tenor/bass drum. It's the perfect size and weight to throw in a backpack for the drummer on the go. 14 mil mylar laminates for the HH Stockpad are also available, giving the player more articulation and a more accurate feel of a plastic-headed drum. The large Quadropad includes 2 rubber "spock" drum pads, giving the player the ability to set up 5 drum or 6 drum configurations. 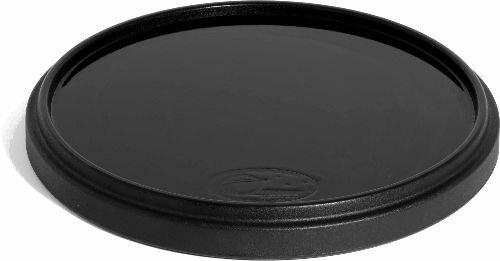 The drum pads included on this set approximate the accurate playing areas of 6", 10", 12", 13" and 14" inch drums, and are laid out accurately and cut for ALL playing areas, both standard and "scrape". The Vic Firth Heavy Hitter Slimpad features a "slim" 1/8" gum rubber pad on a 12" sturdy wooden base. The extra thin 1/8" gum rubber pad gives the player a more accurate feel of a high tensioned marching snare. It's the perfect size and weight to throw in a backpack for the drummer on the go. 14 mil mylar laminates for the HH Slimpad are also available, giving the player maximum articulation and a more accurate feel of a Kevlar-headed drum. The VICPAD9 and VICPAD12 are high quality Vic Firth practice pads that feature a realistic snare sound. Both offer a soft rubber section for quiet practice with a snare drum feel, as well as a hard rubber area for a more intense workout. A nonskid rubber backing prevents slippage. Available in 9" and 12" sizes.